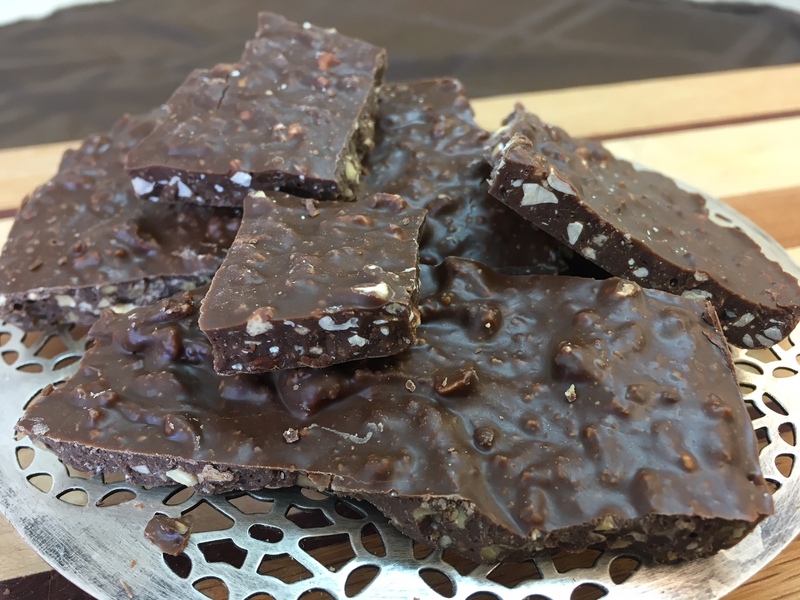 Delicious, rich chocolate with crushed toffee and toasted almonds. This special blend of chocolates with lots of crushed toffee and toasted almonds is just right for any chocolate lover. In this box, you get 14 oz. of crunchy, chocolate-y toffee goodness.